There have been many impressive streaks seen in sports over the last 10 years that may not ever be broken. There are some teams that seemed to be unbeatable and then other teams that went on a streak that they wouldn’t be too proud of. The streaks help the sport or the league it corresponds to as opposed to hurting it because both attendance and viewing games on tv increases, meaning its more fun to watch and more people want to watch it. The University of Connecticut’s women’s basketball team had a winning streak from the fall of 2014 until March 31, 2017. They started their winning streak after a loss to Stanford that ended 88-86 which also snapped another winning streak of 47 games. After that one game, they said that it was the best thing to ever happen because it set up for their longer winning streak through being determined to be better. During that winning streak, there were only three games won by 10 points or less, showing how dominant they actually are. Their impressive winning streak of 111 games came to an end in their 10th straight Final Four appearance in overtime when 5’5” Morgan Williams of Mississippi State hit a buzzer beater pull-up jumper over the 5’11” Gabby Williams, ending the game at 66-64. 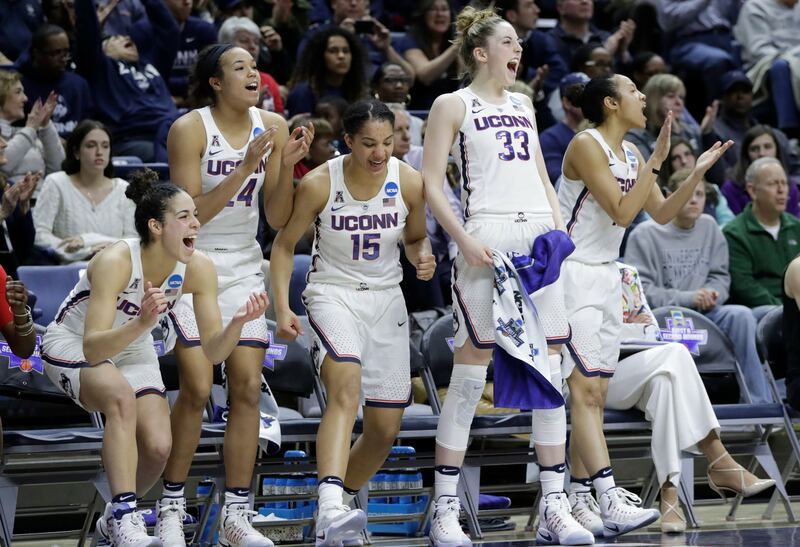 Not only did the heartbreaking shot end UConn’s 111 game winning streak but also ended their streak of four straight Final Four titles. The 2017 Cleveland Indians had a 22 game winning streak from August 24th against the Boston Red Sox winning 13-6 until September 15th losing 4-3 against the Kansas City Royals. The Indians swept six teams during their winning streak and shut out the other team in 7 of the 22 games. In the final game of their winning streak, Jay Bruce hit a walk off double to right sending Jose Ramirez home to win their 22nd game in a row and passing the 1935 Chicago Cubs as the most games won in a row in the American League. The Cleveland Indians lost to the Kansas City Royals as Jason Vargas pitched 5 innings and gave up 3 runs to the Indians but ended up not being enough runs for Cleveland as they lost 4-3 for the first time in 22 days. Currently the Cleveland Browns are known as what could be the worst team in the NFL within the last decade. They have had two 17 game losing streaks since 2015 even with having had 8 first round draft picks in that time. The Browns had their 17 game losing streak broken with a 21-21 tie to the Pittsburgh Steelers and had their 19 game winless streak broken with a 21-17 win against the New York Jets. They have had nine quarterbacks within that time and minimal wins. They have started the 2018 season stronger than the last two seasons combined so it could be possible to change the momentum of their team from being the worst team in the NFL to a contender next year. Other than teams having winning and losing streaks, there are players that have had impressive streaks pertaining to their position and league. Drew Brees, of the New Orleans Saints, had snapped a 47 game streak of games in a row with a touchdown pass, originally set by Johnny Unitas which has stood since December 11, 1960. Brees had set the new record to 54 games in a row with a touchdown pass and went from 2009 to 2012, in a four season span. Brees threw 135 touchdowns in the four seasons of the streak with only 55 interceptions which led him to having a 102.16 passer rating. Drew Brees had already been an impressive quarterback with a 2009 Super Bowl win and bring his team to the playoffs 7 times in his career. He’s put up impressive numbers almost every season of his career and doesn’t look like he’s stopping anytime soon. Winning and losing streaks and independent streaks make sports more exciting to watch and makes more people want to tune in to watch these athletes break incredible records. It’s exciting to watch a dominant team that can win as many as 111 games in a row or watch a consistently inferior team finally break a 635 day winless streak. Sports streaks affect the excitement of a game when someone has something to play for other than a championship game, it brings momentum to a team that might not be playing for the playoffs and lets the athletes attempt to make finish out a season strong.